Already Looking Toward Next Weekend? As one weekend wraps up and we stare at the conventional work week that unfolds in front of us, it is human nature to wonder about the upcoming weekend and start to think of plans. For some this is the proverbial light at the end of the tunnel. If that describes you, then you want to keep reading. Or if you are a person who is looking for weekend plans but do not want to go through the hassle of making them yourselves, well keep reading also! Starting Friday, September 19, 2014 and continuing through Sunday, September 21, 2014, Winchester, Virginia, the National Park Service, and Shenandoah Valley Battlefield Foundation (SVBF) will commemorate the 150th Anniversary of the Third (and last) Battle of Winchester. The “Whirling Through Winchester” which is the official title of the multi-day long sesquicentennial event includes real time tours; if you can sneak away and be in Winchester at 2:oo p.m. you can join yours truly at Stephenson Depot or at 3:40 p.m. at Star Fort as I discuss the actions that unfolded at those spots. Saturday will feature an array of programs at the Huntsberry Property which will be the site of the SVBF main commemoration area. Join me at 9:30 a.m. or 1:15 p.m. as I discuss different aspects of the battle around Winchester. Sunday wraps up the weekend events and I will be out at noon and 2:00 p.m. at Star Fort. 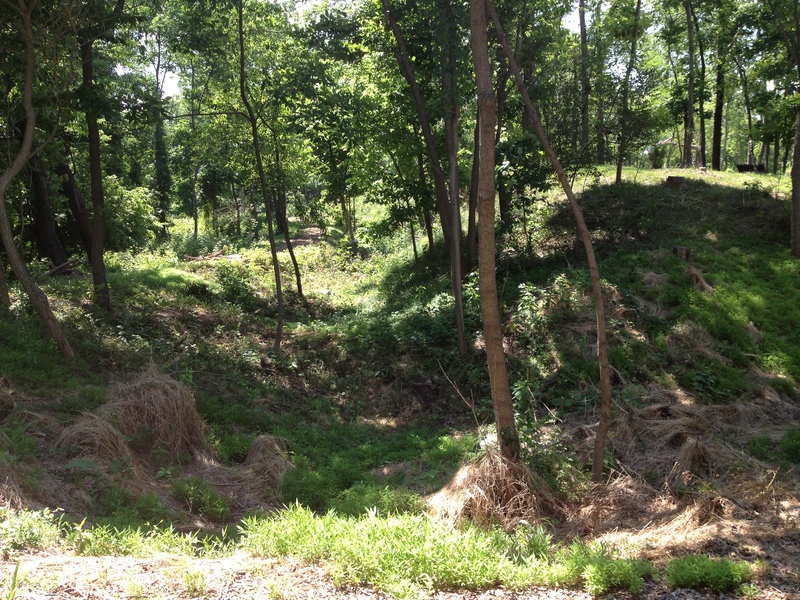 One of the earthen walls of Star Fort, site where Union Colonel James Schoonmaker won a Medal of Honor from. Come see it this weekend and learn about the fighting that took place here and around Winchester! This entry was posted in Battlefields & Historic Places, Battles, Campaigns, Civil War Events, ECW Weekender, Emerging Civil War, National Park Service, Sesquicentennial and tagged Huntsberry Property, Phill Greenwalt, Shenandoah Valley, Shenandoah Valley Battlefield Foundation, Shenandoah Valley Battlefields, Star Fort, Stephenson Depot, Third Winchester. Bookmark the permalink. 2 Responses to Already Looking Toward Next Weekend? Come visit me in Winchester this weekend! Wish I could be there. The commemoration events sound wonderful.